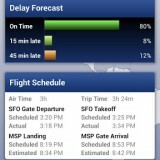 Real-time flight updates and predictions. Lots of features and interesting air travel stats. Other travel apps and services can provide some of the same information for free. FlightTrack can keep track of any domestic or international flight, providing you with updated departure times and gate numbers at a glance on your phone or tablet. The app includes coverage for an impressive 1,400 plus airlines and over 3,000 airports worldwide. This app is valuable for frequent flyers or any casual air traveler. Prepare ahead of time for delays and gate changes faster than even the airport can post updates! 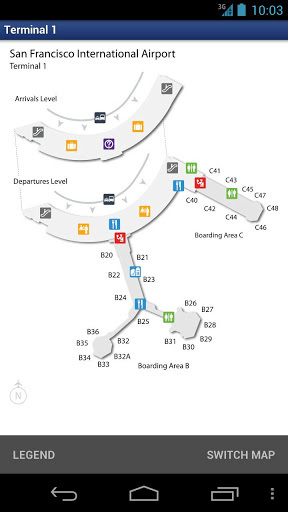 It can even help you plan alternate fights and routes if your flight cancels. The Pro version can synchronize with TripIt. The app displays in-flight progress on interactive maps. Many users report using the app to get flight and airport information can actually be fun! You can also use the app when you’re not traveling, to get real-time updates on family members in transit or do a little flight research. If you already use an app offered by your preferred airline, or one of the many travel booking apps available, you still may find this app useful. It can give you a big picture into the air traffic in and out of your airport, and what’s going on inside the airport. 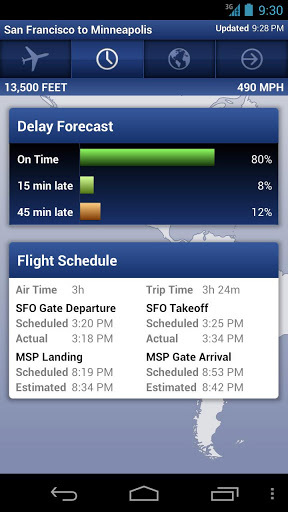 It even claims to be able to predict flight issues and delays. On Google Play FlightTrack is free and the Pro version costs $4.99 to download. The Pro version provides airport maps and flight import from TripIt.